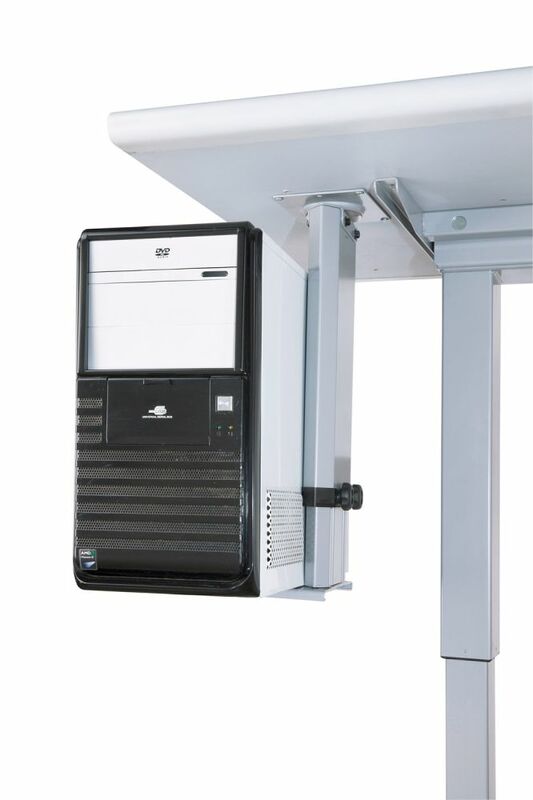 This PC CPU holder works perfectly with standing desks or workstations in a height-adjustable setting, providing a storage space for necesary tech devices such as CPU or server and allowing the movement during the height-adjusting process. SafetyStore and hide the PC or server underneath the tabletop to prevent damage or hazards caused due to all-time floor attachment or accidental disconnection. 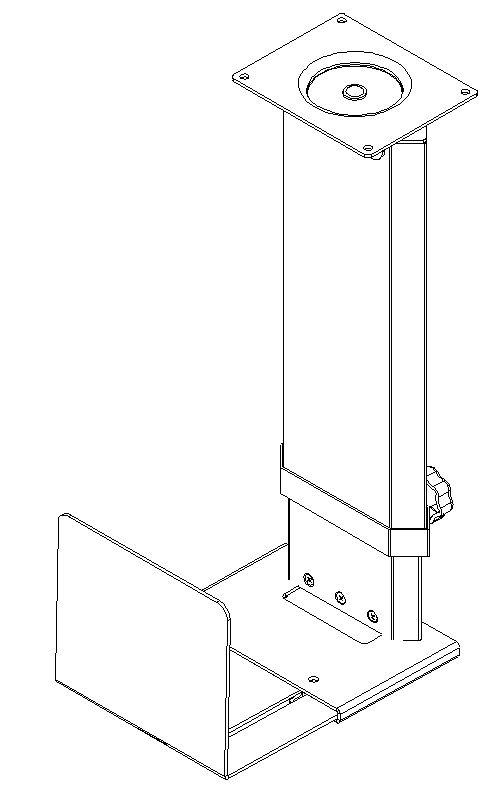 FlexibilityLength and width of the holder are both adjustable to fit for various sizes of the tech devices stored. 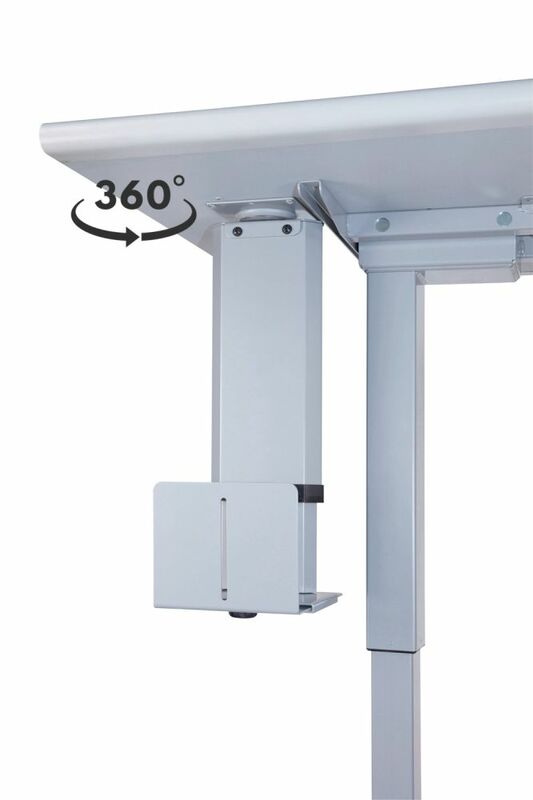 FunctionalityHead Piece connnection not only provides mounting fastening and supports to the holder but also allows 360° horizontal movement to give acesses from all the possible angles. 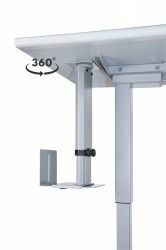 OrganizationalEasily manage and hide the valuable tech device underneath the table to avoid messy looks from the outside, an optimal choice for a minimalism- or simplism-focused space. Space SavingLeaving the floor space clean and tidy with more legroom for healthy body strech and circulation. DesignThe simple case offers a slim design with open compartment airy space for tech devices without being overheated.